Consumers might just start saying “no” to Honey Nut Cheerios. 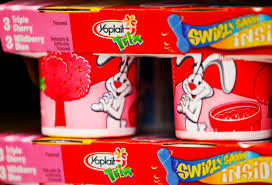 That comes as General Mills, which also produces Yoplait yogurt, Gushers, and Häagen-Dazs ice cream, said it would raise the prices of some packaged goods Wednesday, due to rising shipping and commodities costs. “In terms of pricing, we are going to use a number of leverage in some markets and some businesses; it’s going to be list price increase,” said Donald Mulligan, the firm’s Chief Financial Officer, also pointing to greater inflation in the U.S. economy. That news, alongside a lowered full-year forecast, cut the 161-year-old food giant’s market value by $ 2.5 billion, to about $ 25.8 billion. Shares feel about 9% in trading—its single worst slide in almost a decade. That came as General Mills said during its fiscal third quarter earnings that it expected earnings of $ 3.08 to $ 3.11 per share for the year—a significant difference the previously forecasted $ 3.17. Higher shipping prices are ringing throughout the industry. During the firm’s earnings call, Vice President Jeff Siemon noted that freight costs now represent about 20% of shipments, against a historical 5%. “In fact North American freight spot prices were near 20-year highs in February,” he said.